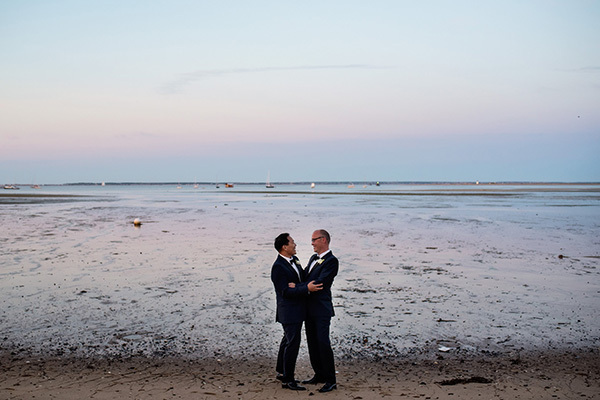 Steven and Richard, who live in Los Angeles, hired us to plan four days of parties in Provincetown, Massachusetts as part of their wedding celebration. The 100 guests joined us from all over the world beginning on Thursday for welcome reception at the Harbor Lounge, followed by a clambake at Crown and Anchor on Friday, and then the wedding itself on Saturday at The Red Inn, and finally a closing brunch at Victor's on Sunday. These four parties were full of great details and lots of laughter. Most of these guests had never been in Provincetown before so it was an extra special treat for them to explore this tiny arts community at the edge of the continent. 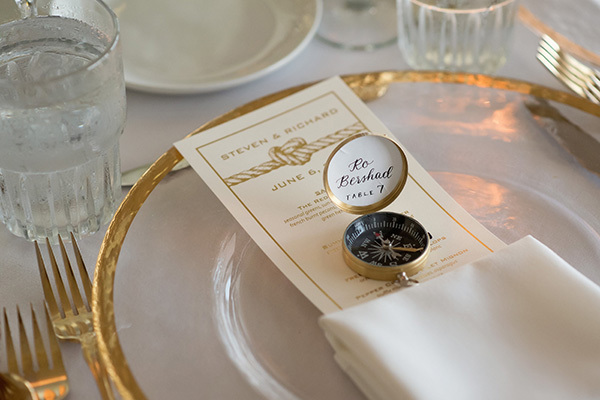 Steven and Richard chose a nautical theme for their wedding. 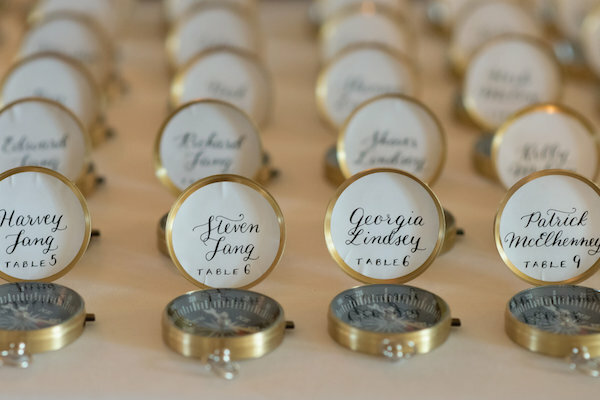 The design was carried through on their aisle runner which then became a sign-in board for their guests and will be framed in their home as artwork. The design was also on their wedding invitations and stationery, on the artwork in their flip-flop station, and all other printed materials. 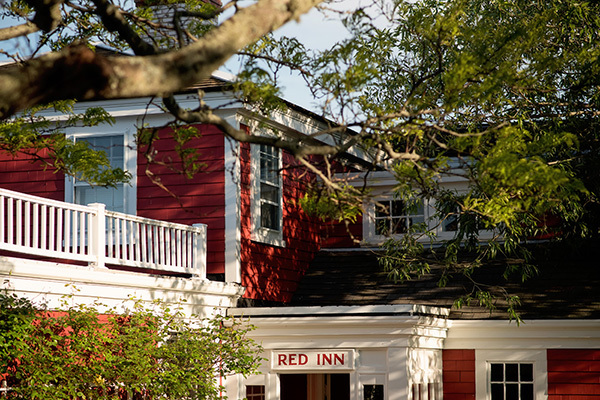 The Red Inn is a very special place and one of our favorite venues in which to work. Its unparalleled views and exquisite food make it a really spectacular wedding option. We held the ceremony on the west deck and brought in these amazing battery operated chandeliers provided by SocialLight. As the night wore on we danced under the tent and brought out surprise guests: two aerial acrobat performers dressed as sailors who put on a very special show for the guests. The groom's and their guests had an awesome time concluding with the bouquet toss at the end of the night. Enjoy the beautiful photos by Kate McElwee.